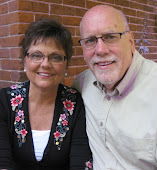 We must begin with a confession. 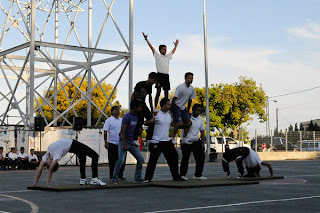 We missed the opening ceremonies of the 2012 Summer Olympics. Even though London is only an hour time zone away, the festivities were televised here around midnight and in primetime in the USA. 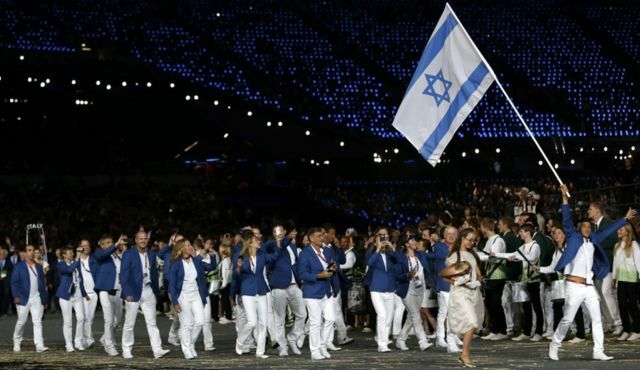 Israel is being represented by 38 athletes led by windsurfer Shahar Zubari as flagbearer. The Haaretz news website this morning also noted that he had dyed his hair blue and shaved an Israeli flag on top of his head. 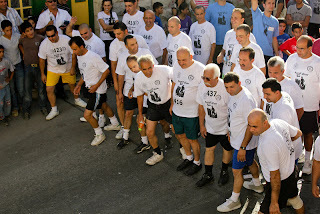 The jubilation of the opening ceremonies is somewhat restrained in memory of the tragedy forty years ago at the Summer games in Munich in 1972. 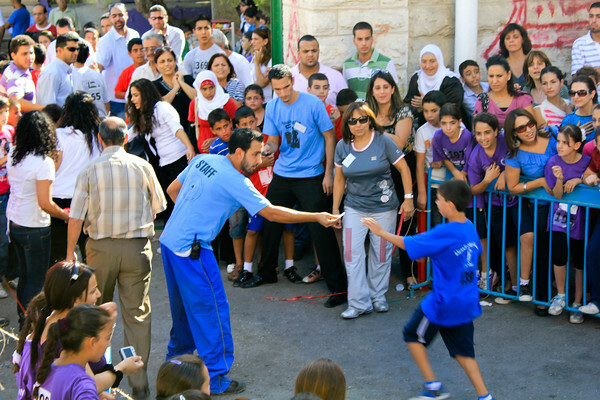 Yet 2012 marks the opportunity for this new generation of athletes to shine. 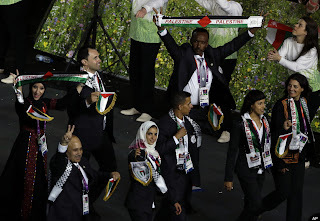 Also among the parade of nations were five athletes representing Palestine with Judo hopeful Maher Abu Rmaileh from East Jerusalem carrying the Palestinian flag (although missing from the photo on the left). Palestine does not get a whole lot of attention during the Olympics. Let's face it, the media are concerned about the medal winners, and that has yet to be. Maybe this year, inshallah. For those who paid close attention, there were 204 countries represented in the parade of flags during this year's opening ceremony. That's eleven more countries than are officially recognized by the United Nations. 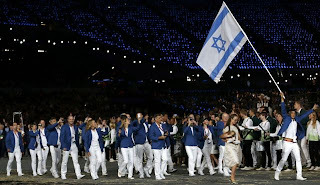 So although Palestine still has only observer status at the UN, it has participant status in the Olympics. 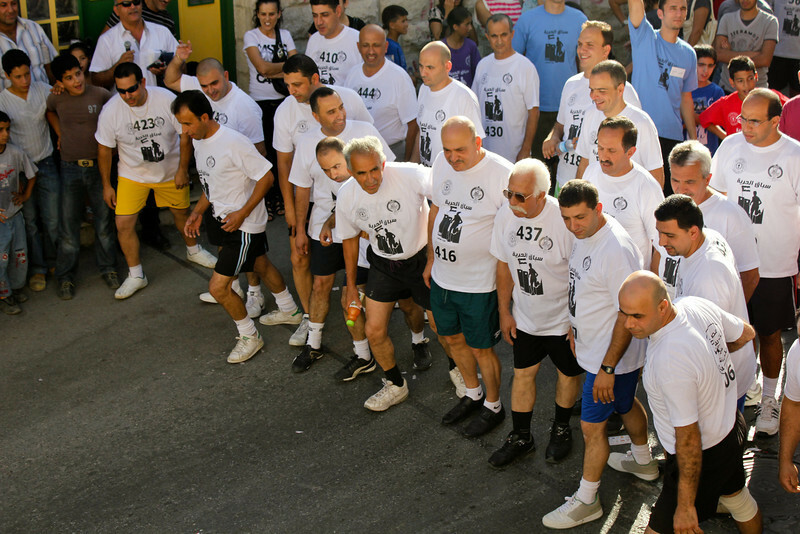 (The Olympic committee does not give veto power to a handful of world leaders). 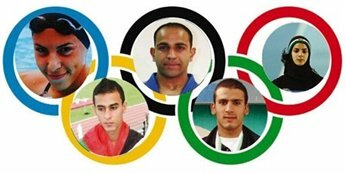 Actually Palestine was already recognized by the Olympic Council of Asia in 1986, and by the International Olympic Committee in 1995, and sent their first team to Atlanta in 1996, and to every Olympics since. 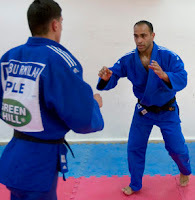 This Sports Illustrated Photo shows flag-bearer Maher Abu Rmaileh working out at the al-Quds sports club in East Jerusalem. He qualified for the Olympics competing in Japan. 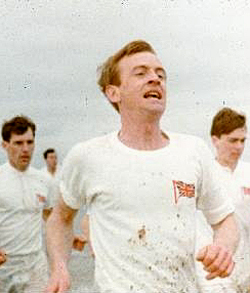 His first Olympic competition will take place on Monday, 30 July. Already on Saturday, July 28, Ahmed Jibril will compete in Men's 50-meter freestyle swimming. On Saturday, August 4, Baha al-Farah will compete in 400-meter track. The Palestinian team also includes two women: one a Muslim, one a Christian. Woroud Sawahla grew up near Nablus and trains at a local school. She will compete in the 800 meter run on Wednesday, August 8. Not only will Woroud compete wearing the Hejab, but she and all Muslim athletes will be observing Ramadan, neither eating nor drinking water during the daylight hours of the summer-heat. 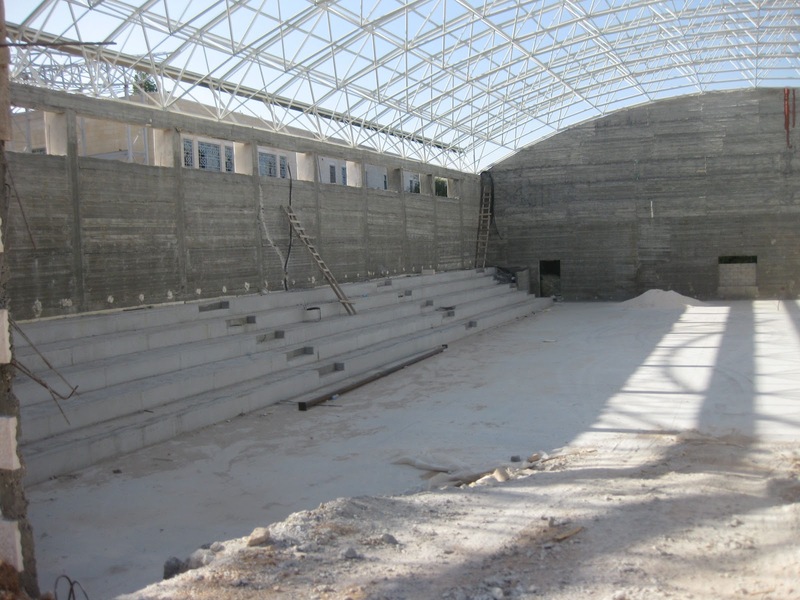 On Friday, August 3, Sabine Hazboun, a Christian from Bethlehem, will be seeking to medal in the Women’s 50-meter freestyle swimming competition. 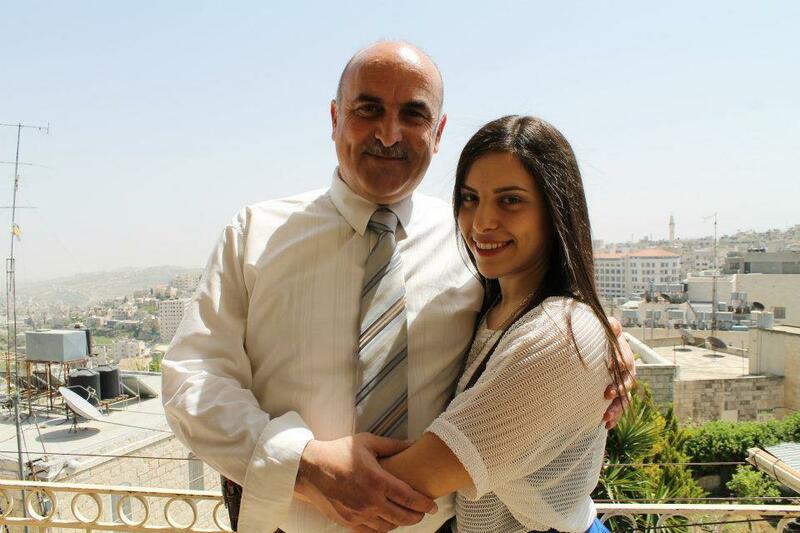 Sabine's father, Issa Hazboun, is the Director of the Catholic Center in Bethlehem. Already at age 13, Sabine had made her mark as the national champion and has participated on the International stage in the 2010 Youth Junior Olympics and the 2011 FINA Championships. 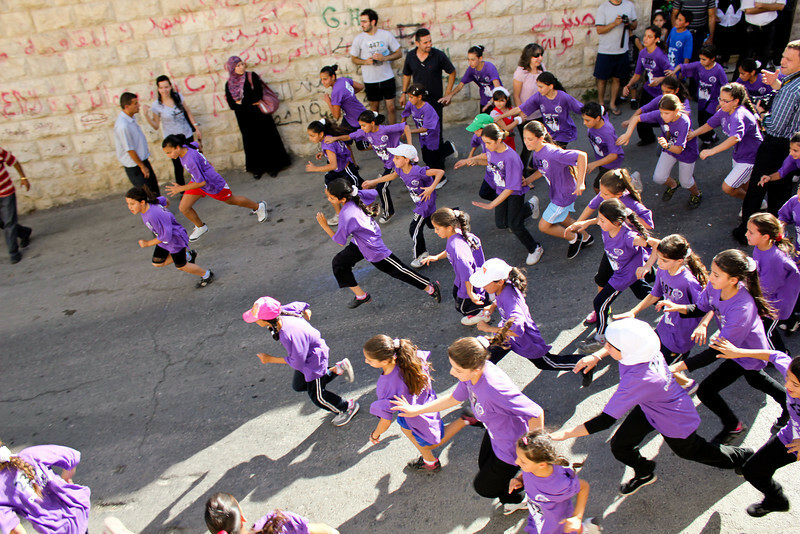 Unfortunately, there are no 50-meter swimming pools in Palestine, so training is difficult. 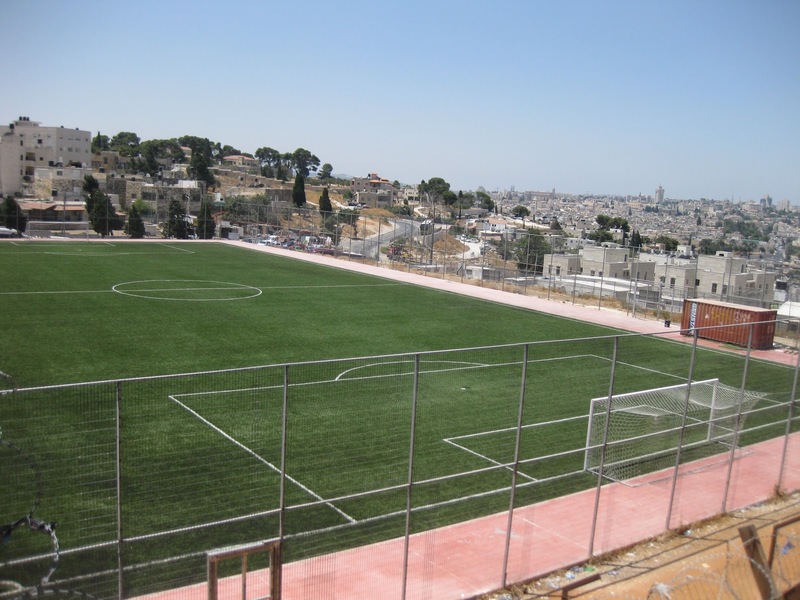 At 17, Sabine has delayed her final year at St. Joseph's School in Bethlehem to spend this past year in full-time training in Barcelona at a training facility especially for athletes from countries with limited resources. 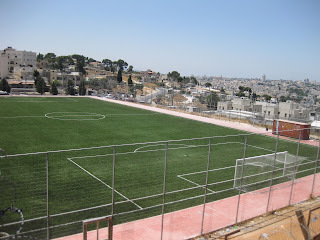 We are pleased to report that in recent months--after years of patient waiting for proper permits--our LWF dirt football (soccer) field here on the Mount of Olives has been upgraded with an artificial grass surface into a competition-level facility where local teams can compete on a regular basis. 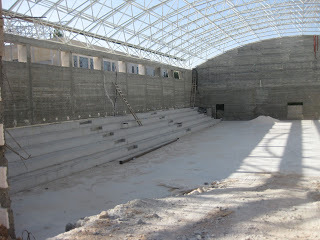 In Bethlehem, thanks to a million-dollar gift from an Edmonton, Alberta, Canada Church, our Lutheran Dar Alkalima School will soon have a gymnasium. 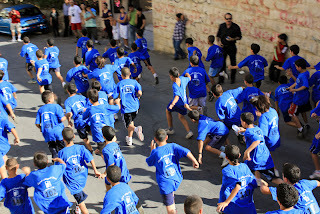 One of our spring highlights already is to attend the Dar Alkalima School sports day. 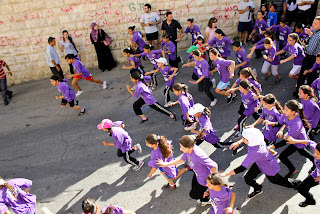 And for fun, we will leave you with several photos from last fall's Lutheran-Church sponsored fun run where boys and girls, young and old, participated in races through the hills of Beit Sahour.
. . . all with dreams of what it might be to participate in a future Olympics.